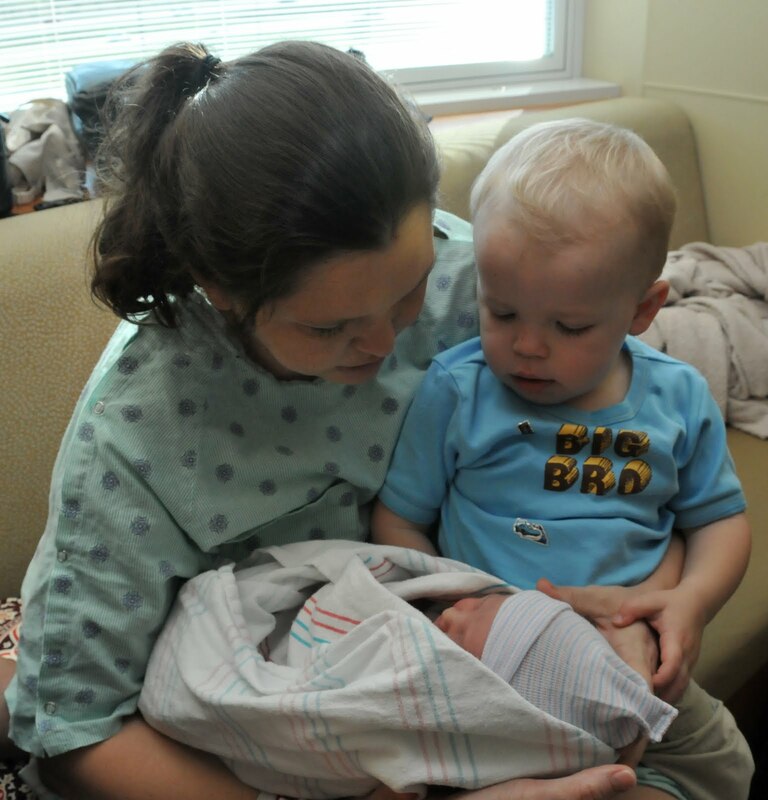 Jackson definitely has had mixed feelings about having a new baby. He played the ignore game for a while. He fussed a bit. He wanted to poke the baby's eyes out. And then he gave some kisses. 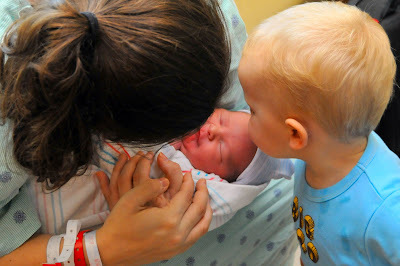 Here he is a little unsure about the baby. And he hides and watches the baby. He was most happy to see his Uncle Stephen. Here he is running around the room ignoring his brother. Here he is completely tired, but it's a good picture of his Big Bro shirt from the Kemps!